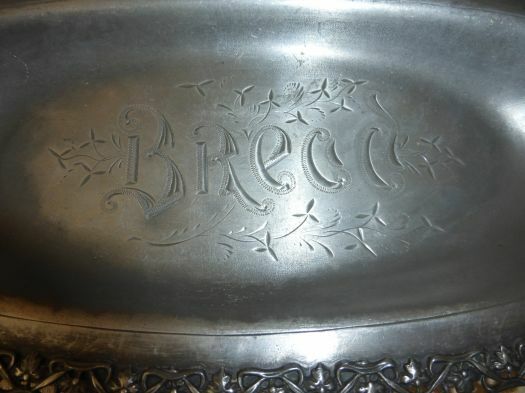 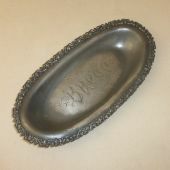 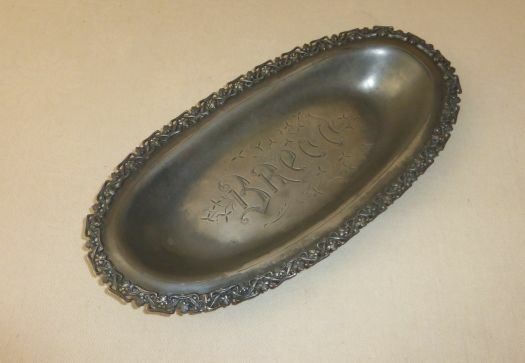 Basket in pewter, for bread, probably made in England. 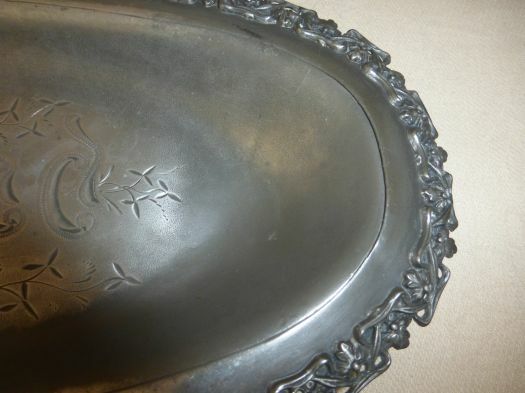 Condition is rather good, there is a crack, you can see it on the last picture, but it is rather discrete. 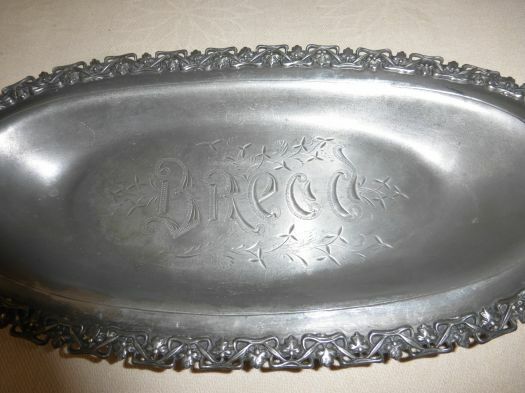 33 cm x 16,5 cm.